Update: On June 13, 2018, Microsoft announced general availability of the Azure Kubernetes Service (AKS). After close collaboration with Microsoft engineers, HashiCorp is pleased to announce day-zero support with HashiCorp Terraform for AKS. With AKS, Terraform users can create and manage Kubernetes clusters as part of their Terraform workflows. This blog details how to begin using AKS and Terraform and outlines the necessary steps for proper configuration. Microsoft and HashiCorp have been working together to build the Azure provider for HashiCorp Terraform allowing you to manage all of your Azure infrastructure declaratively using HashiCorp Configuration Language (HCL). 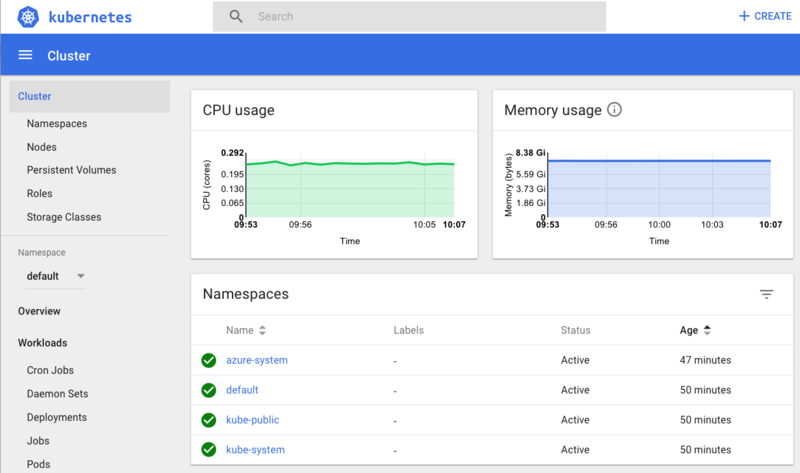 One of the most recent releases has included the preview of Azure Kubernetes Service (AKS). AKS manages your hosted Kubernetes environment, making it quick and easy to deploy and manage containerized applications without container orchestration expertise. It also eliminates the burden of ongoing operations and maintenance by provisioning, upgrading, and scaling resources on demand, without taking your applications offline. Creating an AKS resource with Terraform is incredibly easy, it only requires a single resource azurerm_kubernetes_cluster and in this post, we are going to walk through the necessary steps to create this with Terraform. We need to configure the provider with the subscription_id, client_id, client_secret and tenant_id. Set the following environment variables with the values which correspond to your account. $ az ad sp create-for-rbac --role="Contributor" --scopes="/subscriptions/your_subscription_id"
In Azure, all infrastructure elements such as virtual machines, storage, and our Kubernetes cluster need to be attached to a resource group. The resource group also defines the region in which resources are created. To create a resource group, we use the azure_resource_group stanza. The below example is using variables for the name and the location. Variables allow you to create a dynamic configuration and avoid hardcoding values. We are setting the standard attributes, name of the cluster, location, and the resource_group_name. Then we set the dns_prefix; the dns_prefix forms part of the fully qualified domain name used to access the cluster. The linux_profile stanza allows us to configure the settings which enable logging into the worker nodes using ssh. With AKS you only pay for the worker nodes and in the next block agent_pool_profile we configure the details for these. This block includes the number of workers we would like to create and the type of workers. Should we need to scale up or scale down the cluster at a later date, we can change the count of the workers defined in this block. $ terraform plan -var "client_id=your_client_id" -var "client_secret=your_client_secret"
Finally, we can set some output variables which allows access to the cluster with kubectl. Once we have everything set up, we first need to run terraform init the init command downloads the required providers defined in your configuration. * provider.azurerm: version = "~> 1.4"
We can then create a plan which defines the infrastructure elements that will be Created, Updated and Destroyed. Elements added to the plan are the difference between the current state and the current configuration. To test our cluster let's view the Kubernetes dashboard. First, we need to get the Kubernetes config from the Terraform state and store it in a file that kubectl can read. We then set an environment variable so that kubectl picks up the correct config. You should see the details of your worker nodes, and they should all have a status Ready. Then we run kubectl proxy to be able to access the dashboard. In addition to being able to leverage kubectl for interacting with the cluster, it is also possible to use the Terraform provider for Kubernetes. In version 0.11.7 we made this even easier with the capability for a provider to be configured using interpolated syntax from a resource. The below example shows how the outputs in our simple example can be used to configure the provider for Kubernetes. Adding this provider configuration and by leveraging resources in this provider such as the kubernetes_pod resource we can now create a cluster and provision pods and services with a single terraform apply. AKS is still in preview, but the simplicity of creating a Kubernetes cluster by defining a single Terraform resource is an incredibly easy way to place Kubernetes at the heart of your infrastructure. Combining this with the Kubernetes provider gives you a single and straightforward workflow for provisioning your Kubernetes clusters and any pods or services which define your application. To learn more about Terraform, visit https://www.hashicorp.com/products/terraform.